Except as otherwise noted, all the contents of this Site and downloads from it are copyrighted by Stonebridge at Newport. Any rights not expressly granted herein are reserved. Ownership of the Trademarks on this Site. 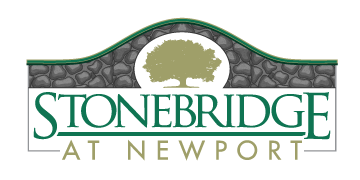 The name Stonebridge at Newport, its logo, and any other marks used on the Site are trademarks of Billy Casper Golf, its subsidiaries or affiliates.